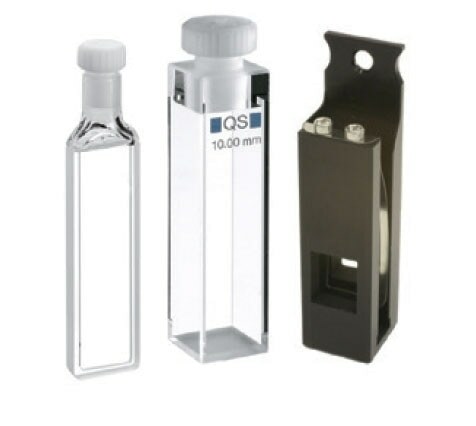 The Chirascan Q100 Circular Dichroism (CD) Spectrophotometer provides sensitive information on the higher order structure (HOS) characteristics of complex biomolecules. 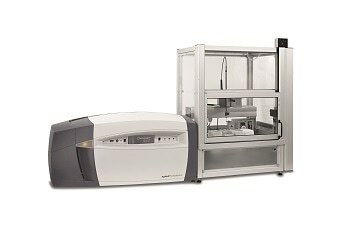 The Chirascan Q100 is equipped with both reproducible robotics and high-performance circular dichroism (CD) spectrometry to generate high-quality data that is compatible with most stringent statistical analysis techniques. The Chirascan Q100 can analyze 48 buffer-sample pairs over a 24 hour period, which saves the user a lot of time as the most experienced CD operator can only process a maximum of 14 samples each day when using a manual system. 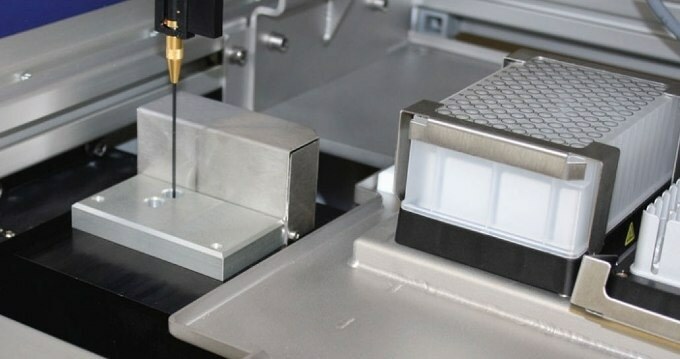 The Chirascan Q100 exhibits an unmatched productivity and performance rate as it allows for unattended operation of a 96 well plate. 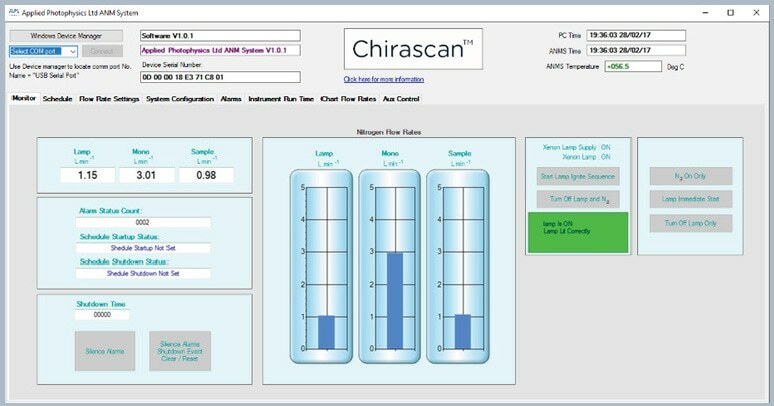 Additionally, the Chirascan Q100 software is capable of inspecting raw data and automatically averaging/correcting the baseline for HOS comparison. Photoelastic modulator: Converts horizontally polarized light to circularly polarized light. This modulator is also capable of alternating between left- and right-handed circular polarized light. 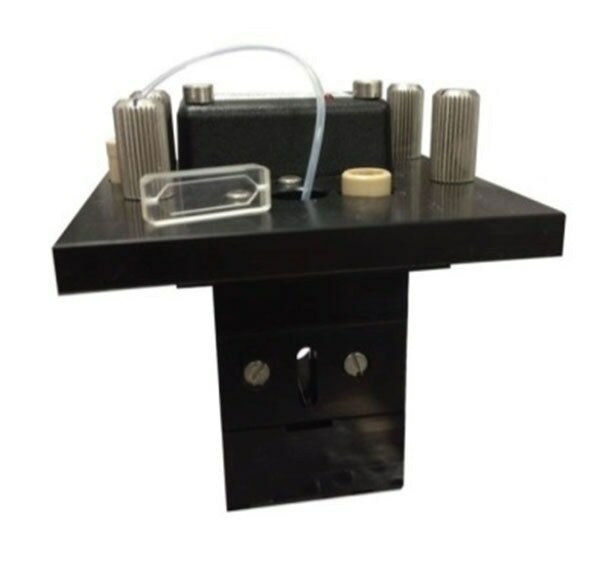 Water circulator: Dissipates heat from the sample chamber and sample storage Peltiers. Monochromator: Produces horizontally and linearly polarized monochromatic light. Dual polarizing prisms within the monochromator maximize the light throughput. 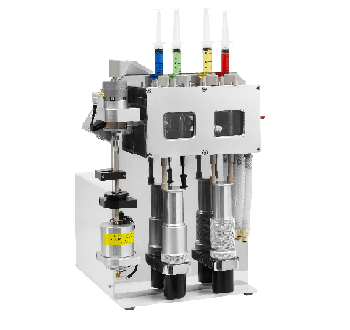 Temperature-controlled sample chamber: Maintains consistent analytical conditions and continuous temperature ramps, in which the temperature is measured directly in the sample.